As an introvert myself, my heart goes out to combat veterans who prefer that style of energy recharge. I am fortunate, though. Upon hearing such gung-ho critique in my world, I get the pleasure of first biting my irritated tongue, then of deferentially smiling at said fruitful, worthwhile extrovert and purring, “Oh, thank you for your wisdom,” and then of walking off with eyes so rolled back, they stick at the top of my cranium. And of then doing what I was going to do anyway. Sadly, for most of the introverted combat veterans I see, they only get the pleasure of sinking more deeply into their private Hells of despair and self-hatred. Consider again our “movie” of the last essay, the one in which extroverts are released from The War Within’s hold on them and, through proper therapeutic instruction, are given the psychological tools not only to face life again, but even more to face the periodic skirmishes inevitably brought on by the continuing, inner presence of The War Within. Let us call that “movie,” The War Within: The Great Escape. Let us call instead the “movie” for this essay: The War Within II: The Endless Return. Unfortunately, problems loom on the horizon. As already discussed, extroverts clamor to get to their power grids and supply lines “out there” in the world of social interaction and clear goals by moving away from The War Within. By “getting out of their heads” and “into the Real World” of accomplishment and recognition, they finally find reliable means of recharging their energies. The War is within, meaning that it cannot “come out into the Real World” and thus contaminate the energy sources of the extroverted combat veteran. The more one can stay “out of one’s head” and instead commit to meaningful interactions and actions, the more one will have the energy to use therapeutic tools and coping skills to battle any attempts by The War Within to draw the extroverted combat veteran back into the world of pain. For introverted combat veterans, however: not so much. For them, The War Within occupies the very source of their psychological energy, their “inside,” the home of their thoughts, their feelings, their memories that are the real-world equivalents of their metaphoric energy supply. In other words, introverted combat veteran cannot recharge by getting away from The War. They must find a way around it. Therefore, extroverts first get to their energy rechargers and then go back to face The War Within whenever it comes calling (which it always does). Introverts, in contrast, must take on directly The War Within before they can even get to their energy rechargers. For extroverted combat veterans, therapists need to “get inside” the veterans (i.e., earn the veterans’ trust) and then “break the hold of the tractor beam of The War Within.” They do the latter by techniques such as Prolonged Exposure (PE) and Cognitive Processing Therapy (CPT), psychological treatments used to decrease the intensity of the emotional dysregulation caused by memories of The War. Therapists then encourage veterans back into meaningful “real-world” activities by psychologically reinforcing the veterans’ strengths (with the faith and persistence of a Tom Hanks character), while simultaneously coaching them in the continued self-application of PE/CPT principles whenever flare-ups of memories or emotions recur as part of the expected course of the long-term recovery from combat trauma/PTSD. 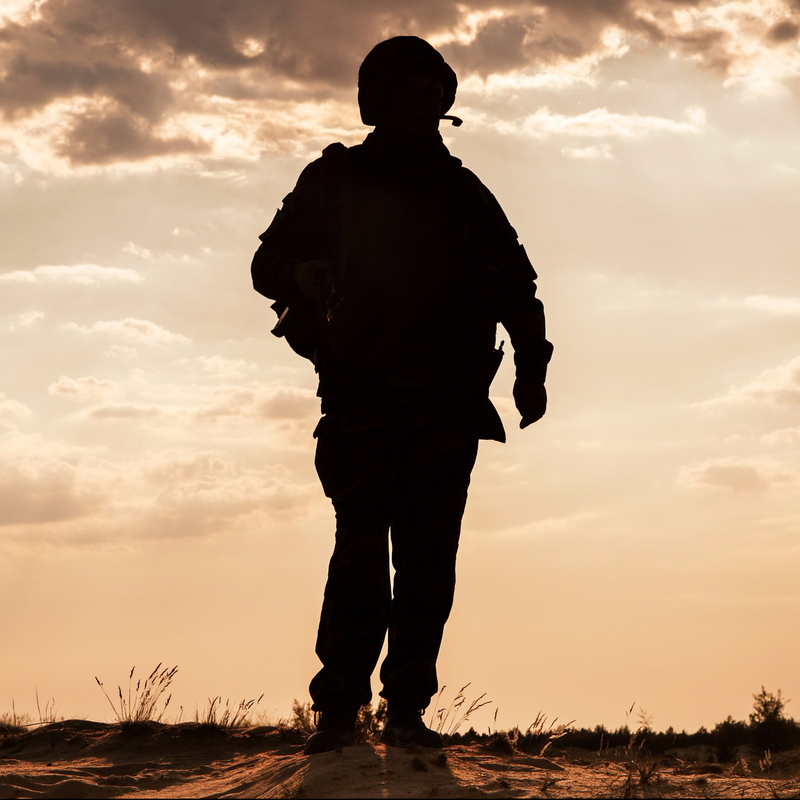 Once again, for introverted combat veterans, the action starts similarly, with therapists’ needing to “get inside” their veteran clients’ hearts and minds by earning the latter’s trust. What therapists cannot then expect to do is to send the veterans out on their merry way into the Real World, counting on the recovered intensities of the veterans themselves to provide the necessary oomph that will keep the veterans moving in the right direction. So, Law/Kidman/Brangelina empathically do their jobs, and once done, shout “Get outta here!” to the veterans, and all veterans zip into the world as best they can, renewed in their energy, prepared to take on The War Within when that time comes. Important point: When I say all, I do mean all. For up to this point, extroverts and introverts look the same, just as they did when they were sitting in front of ESPN or getting wasted down at the bar. Consequently, both sets of our veterans get “outside,” back into the world. Both try to increase their sociability, try to find that employer who will both understand them and challenge them, do all they can to apply the principles they’ve learned during their commando-raid education, over and over and over. So far, still no difference. The ASM is the moment when combat veterans, both extroverted and introverted, realize that, one more time, they are again going to have to face The War Within. For extroverts have their ASM when they realize that the tractor beam of The War Within has zeroed in on them one more time, at the anniversary of that particular death, of that particular mission, of that particular day you arrived at boot camp or in Kuwait. Maybe it’s a diesel smell on a particularly hot day. Maybe it’s a particular news story one hears on NBC, PBS, CNN, even on the always-reliably-spinned Fox News or MSNBC. When that happens, when The War Within sends the memories and emotions flooding out, the extroverted veterans’ psychological training has to kick in, no matter how little or how much time they have been able to spend at the recharging stations in The Real World. Maybe the veterans are fully recharged. Maybe they have merely just begun the process of emotional replenishment, emotional nourishment. It’s Nike time. Just do it. For the introverts, however, when does that ASM hit them? The moment they realize that they’re running out of the short-term supply of emergency fuel that had been provided them by their therapeutic Special Forces team. The moment they realize that it’s now time for them to get their own refueling, their own renourishing. The moment they realize that to get that self-directed nourishing, they’re going to have to go back “inside”, back to the point where The War Within is still guarding the energy grid and the supply line. The moment they then understand the implication of their “movie’s” title: The Endless Return. No wonder I might wish to claim that the difference between the ASM of the extroverted combat veteran and the ASM of the introverted combat veteran is not one of degree, but rather one of kind. One of most vicious of kinds. Unfortunately, for far too many introverted combat veterans, by the time their ASM arrives, their best-practices Special Forces Team has already moved on to other missions, other veterans, being the good stewards of the public purse that they are. After all, in such difficult economic times as these, we’ve all got to “do more with less,” right? In other words, the introverted combat veterans are on their own. By the time of their ASM, the fortunate ones have found ways to band together. They have formed support groups. They have stayed in touch by Facebook. They have come to feel comfortable texting someone in the middle of the night, knowing that the veterans on the other end will text back, will never leave a man or woman behind. Unfortunately, most have barely hobbled away from The War Within, barely made it “ten feet” into the “real world” before their ASM hits them, hits them when they’re still too ashamed to text or to call up their battle buddy, too afraid even to set up a Facebook account, lest they remember more than they are prepared to remember. Unfortunately, many live in middle-of-nowhere towns, without another combat veteran within a good fifty to a hundred miles of them, without a job that can subsidize the gas to get God-knows-how-many miles to that support group the VA is so proud of, still waiting to hear one single word from the Veterans Benefits Administration about whether they are even going to get someone, anyone to look at their disability application before the birth of their first grandchild. Fortunate, unfortunate, no matter: rations are running low. One has got to refuel, has got to get back to the power grid, back to the supply line. That means, oh, introverted veteran, you’ve got to go back there! So go back, the introverted veterans do. And so begins the guerrilla war, the clandestine raids within the soul, desperate introverts grabbing whatever good feeling they can, a day of happiness here, a day of calm there. They dare not linger too long deep on the inside, lest their memories, their emotions–their War Within–confront them, force them to burn up what little energy supplies they have been able to amass. Yet they dare not go too far into The Real World either, into relationships, into jobs that could be fulfilling, because for the introvert, fulfilling is not necessarily energy-producing. Fulfillment in The Real World is a pleasure for us introverts, but it is no walk in the park. It’s meaningful work. But it’s work. So most introverted combat veterans, even those who have learned the “skills” so well-taught by the Laws, the Kidmans, the Brangelinas of the world, sit at the very outer edges of their “insides,” at the picture windows of the soul that looks out onto a world in which people relate, people accomplish, people smile for more than five minutes at a time. And do you know what makes it most painful for introverted combat veterans to sit at their windows and look out upon such a world? They see their extroverted combat buddies “out there,” guzzling down the energy drinks of the supply lines, looking sort of like they did back in boot camp, like they did on all those Weekend Warrior exercises they used to survive together back at Camp America in the boonies of Hometown State. True, they do see their extroverted buddies occasionally making forays back into their own “insides,” fighting their own Wars Within. But then they see them walk right back out of the front door of the soul, battered, but undeterred, back into the Real World, back to their psychological Red Bulls. And so TWWII ends, with our introverted combat veteran at the window. Looking out. Unsure whether to pray one more time. Unsure whether anyone will ever see them there, ever care. Unsure whether they even want to go on, let alone whether they can. Sinking more deeply into their private Hells of despair and self-hatred. And if a sequel doesn’t go into production soon, bad things will happen. Ruined lives. Severed relationships. Prison terms. Death. Fortunately, my introverted brothers and sisters, there is a script out there ready to be picked up and produced. Once you know it’s out there, you’ll know how to find the production companies working on it–and how to demand that more production companies be formed. I can’t thank you enough for putting this website together, it may have just saved my life. You have really got something here. I find this article a very accurate narrative of my personal existence. After reading this I’m an introvert for sure, and I feel like I’m loosing it again. I was doing very well for a while I went from being homeless to completing a program at the Chillicothe VA hospital (during which time my wife divorced me) and getting a great job. I did so well there I got picked up by another company and now I have a bright future. From the day that I left I the VA hospital I felt great but TWW, as you call, was always right there. I went to counseling and met with my doc for a few months after until I got my job and then I focused on that and the counseling went by the wayside. The echo of my past was always right there but I was able to focus on my job. It was very fast paced and revolved around helping others and working with highly motivated people. I recently ended a relationship and switched to a new job. The new job is super slow paced corporate job. People, quite transparently, whine and complain at this job and make up excuses to avoid doing work. I feel myself getting lost and falling back inside of myself. My apartment used to be immaculate and now it’s a mess, and I am finding it harder to go to work even though it’s ridiculously easy and pays very well. I feel unworthy of asking for help from anyone, but I feel like you really get what’s going on. What can I do? What should I do?